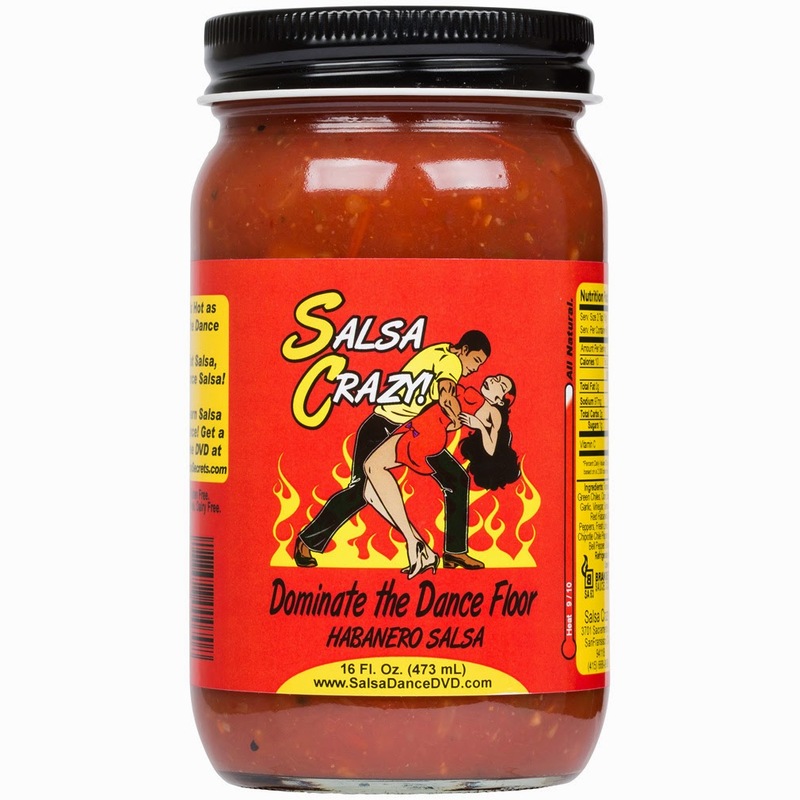 SalsaCrazy Habanero Salsa - Dominate the Dance Floor Habanero Salsa Hot Sauce,16 fl oz. 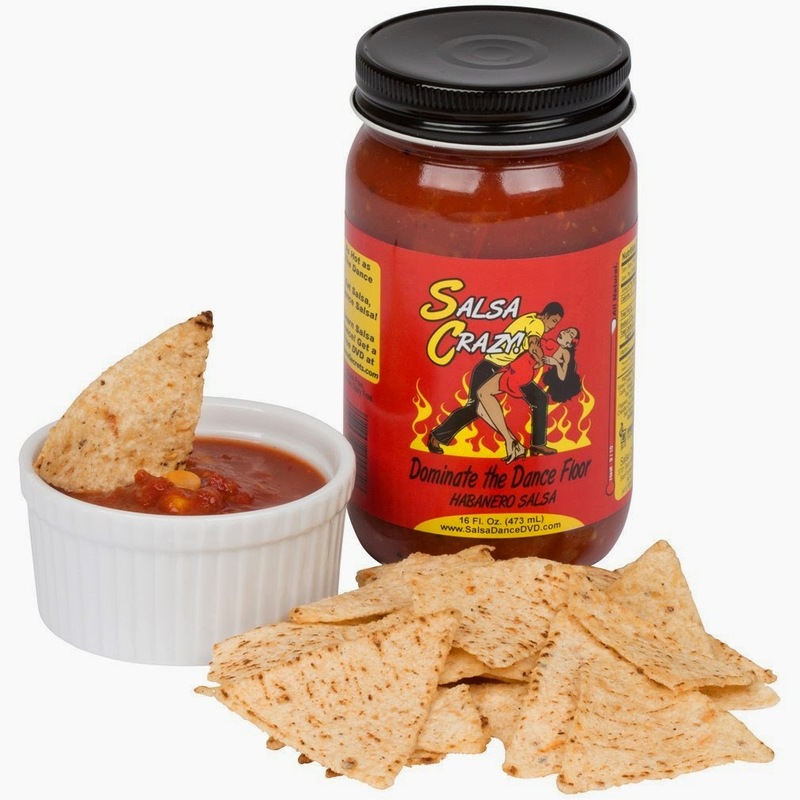 Habanero Salsa by SalsaCrazy (yes, the same people that brought you the amazing learn to Salsa Dance DVDs). 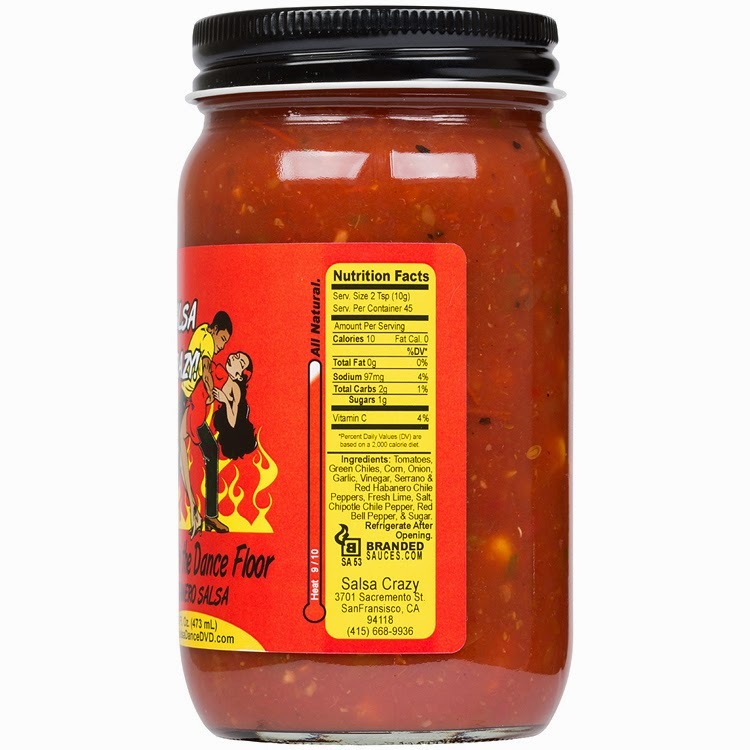 INGREDIENTS: Tomatoes, vinegar, various chiles, corn, Habanero Salsa that's a delicious, hot, all-around salsa with great garden flavor and chunks of tomato, corn, and green chile. It's not too hot to eat, and it's packed with flavor. You'll love the familiar healthy and home-made salsa flavor with a healthy dose of chile peppers and garlic that make this an extraordinary and versatile table salsa. 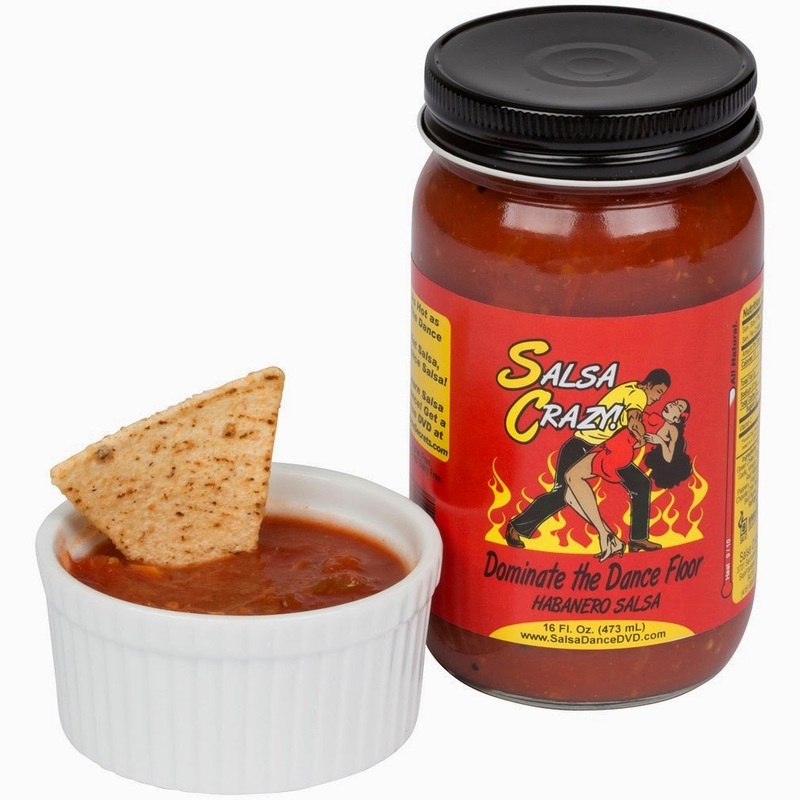 My whole family was excited and a bit apprehensive about trying this Habanero Salso by SalsaCrazy! We all LOVE hot and spicy but even we were afraid of the Habanero! 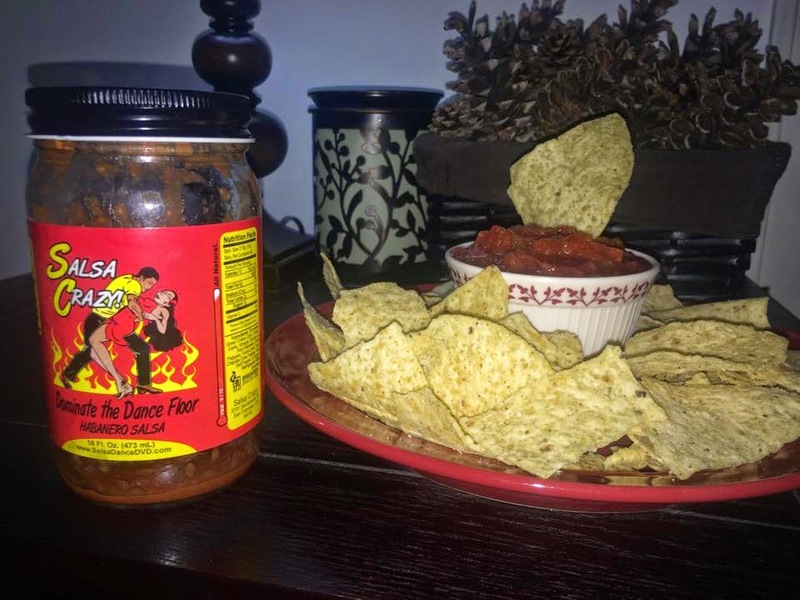 I poured the salsa in a dish, surrounded it with Lime Tortilla Chips and brought it into the living room. 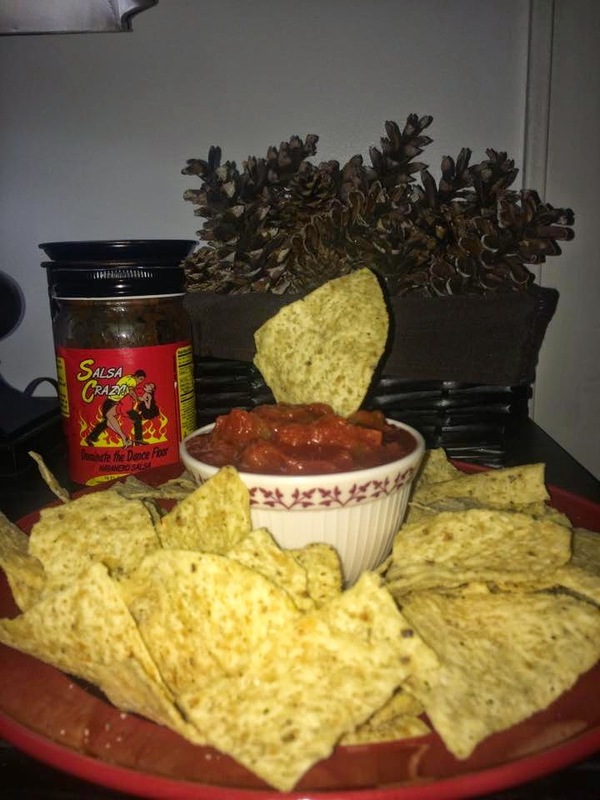 We all grabbed a chip and dipped....Mmmmm this tastes home made! You can taste the tomato, green chilis, corn and garlic.This was the said by all 4 of us. We all dug in for another and then started to feel the burn! Not too hot, but definitely hot! The good kind of hot, not the kind of hot that burns your face off and does not taste good. 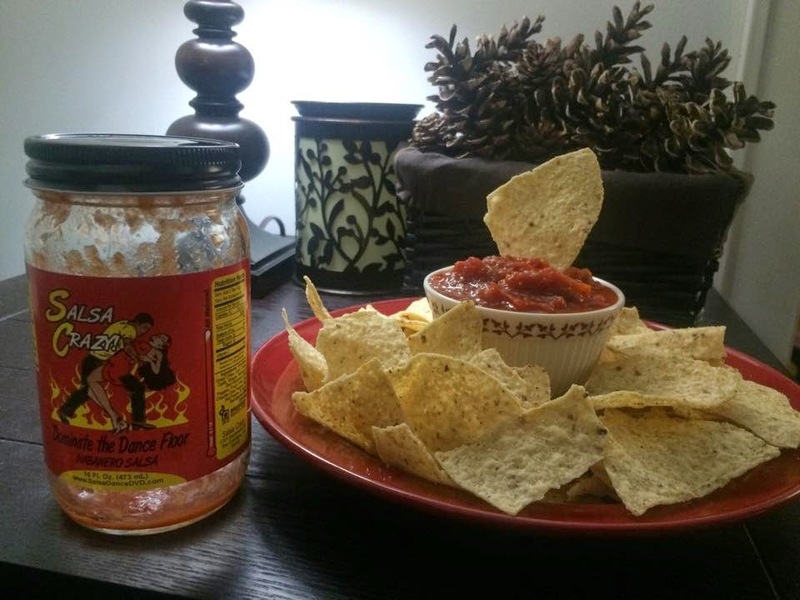 As you can see by the photos, the jar is now empty and everyone enjoyed the home made flavors of this Habanero Salsa!